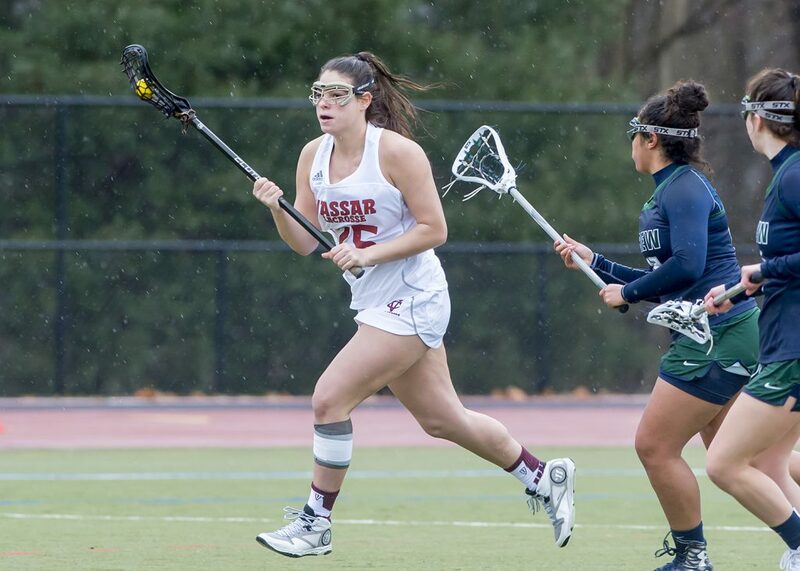 It was a tale of two games for Brewers women’s lacrosse this past weekend, as they split their home doubleheader, defeating RIT 19-13 on Friday, April 6, before falling to University of Rochester a day later in a much lower-scoring match-up, 9-7. These matches brought their record in the Liberty League to 2-2, and 3-6 overall. In their victory on Friday, April 6, the Brewers’ offense was firing on all cylinders, which led to a season high of 18 goals scored, eight more than the team average for the year. This offensive explosion started early in the game, with six goals coming in just the first 10 minutes of play. This high scoring rate can be attributed to unselfish offensive team play from the Brewers, as five of the six points were assisted. The Brewers were unable to find this same offensive rhythm against Rochester, scoring only seven goals for the whole game, only one of which was assisted. The team did manage 32 shots, but 17 saves from Rochester goalkeeper Conley Ernst kept them from making the most of it. Despite these offensive struggles, a strong defensive performance and a career-high 15 saves by senior goalkeeper Emily Chancey managed to keep the Brewers close for much of the game, and with just 22 minutes left in the second half, a goal from O’Loughlin tied the score 4-4. However, this would be the last time Vassar equaled Rochester, as the Yellowjackets responded with five goals over the next 10 minutes to put the game out of reach. Senior attacker Storm Sideleau led a late comeback attempt, scoring three of her four goals in the last eight minutes, including two in only 40 seconds. Despite a valiant individual effort, it was too little too late. According to Finerghty, the Brewers will work on their offense and finishing in order to be able to consistently put up high numbers as they did against RIT. Fable was in agreement that the team’s intensity and drive to win were present throughout the weekend, and she believes this is a sign of good things to come for the team. Fable’s statement will be put to the test on Saturday, April 14 on the road against William Smith College, who are currently ranked number 20 in all of Division III.